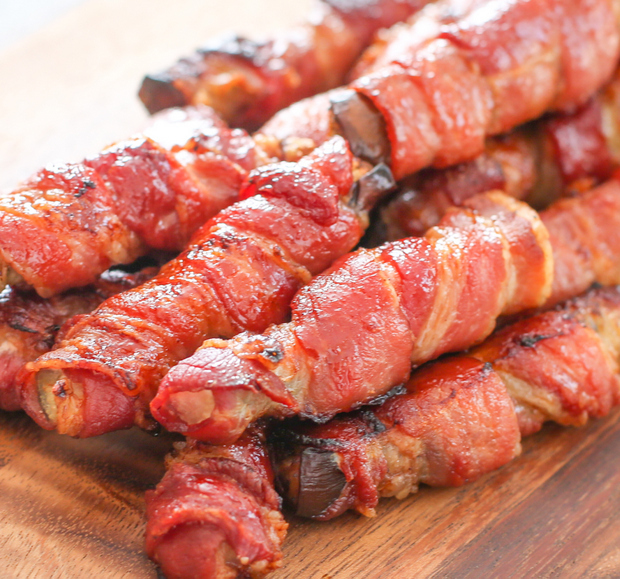 For your Super Bowl Sunday recipe consideration, may I suggest these bacon wrapped eggplant fries brushed with a light glaze of honey sriracha sauce? 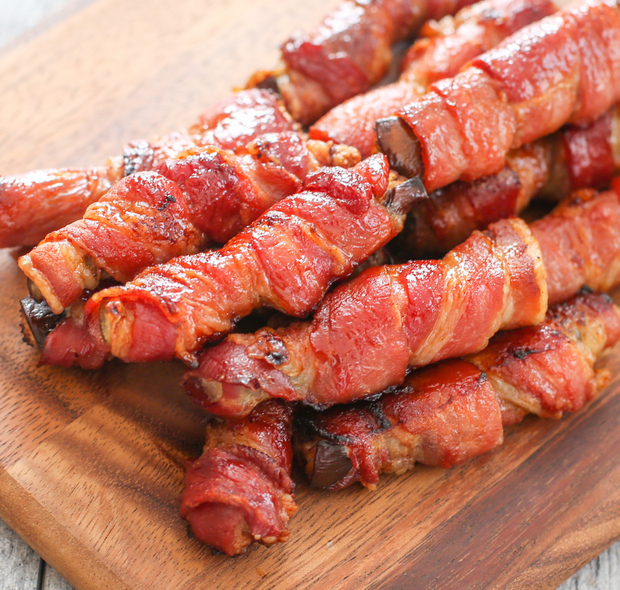 One of my favorite appetizer recipes have been my bacon wrapped avocado fries. But I think these may be even better. Sure eggplant may not sound nearly as delicious as avocado, but here’s why I prefer this version over my original. 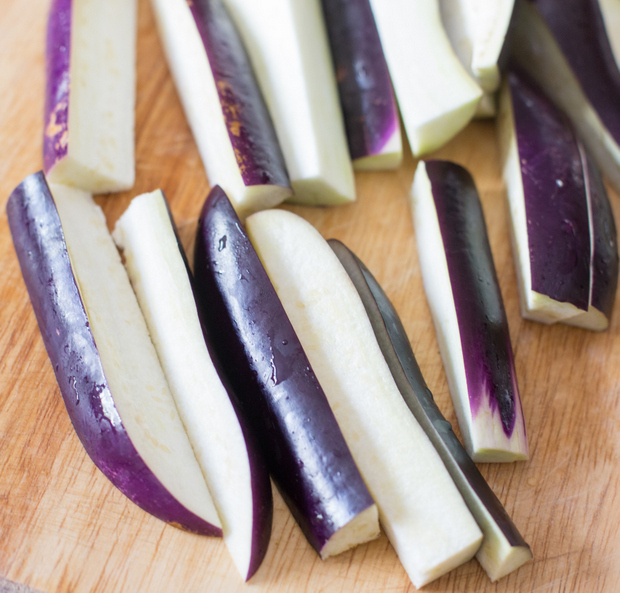 First, raw eggplant has a much sturdier texture than avocado, making it a lot easier to wrap bacon around it. And when the eggplant is cooked, it turns soft and creamy, much like the texture of avocado. 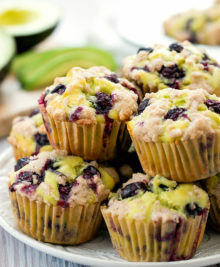 Second, avocado, when cooked, starts to take on a bitter taste, so you have to be careful not to cook bacon avocado fries too long. Eggplant does not have that issue. This means you can cook these fries until your bacon is extra crisp (which is how I like my bacon), without worrying about the inside becoming bitterly inedible. The eggplant is like a sponge, so it really soaks up the bacon juices. To balance out the salty bacon, I opted to add a honey sriracha glaze. It also makes these fries really glisten. The honey sriracha glaze is completely optional (photo above is pre-glaze), but I was inspired by another favorite recipe of mine: Bacon wrapped onion rings with Sriracha glaze. 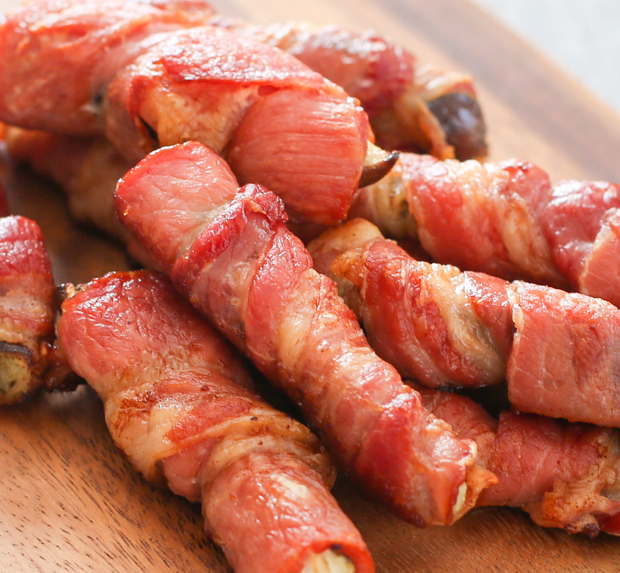 Hmm, I seem to wrap a lot of things in bacon. 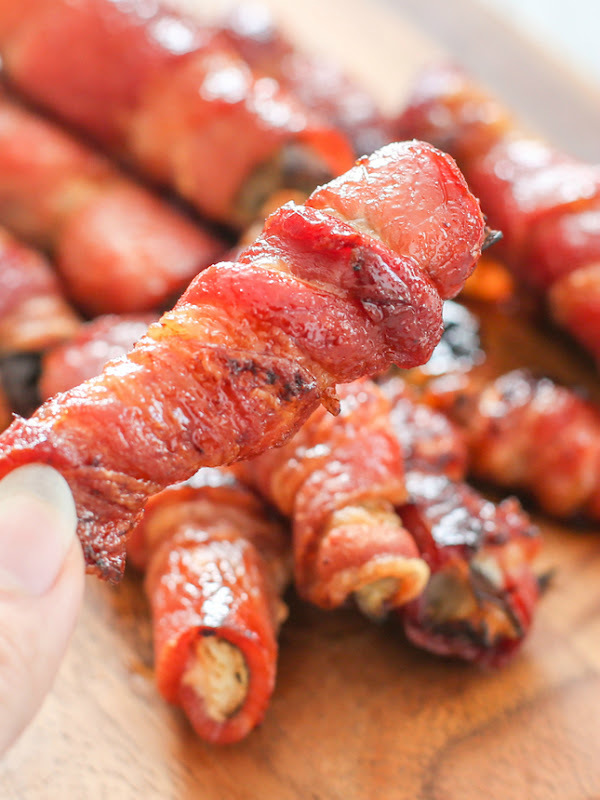 Our house smelled like honey bacon for days, with prompted Mr. K to declare that he should invent a bacon scented air freshener. Sorry, Mr. K, but it already exists. 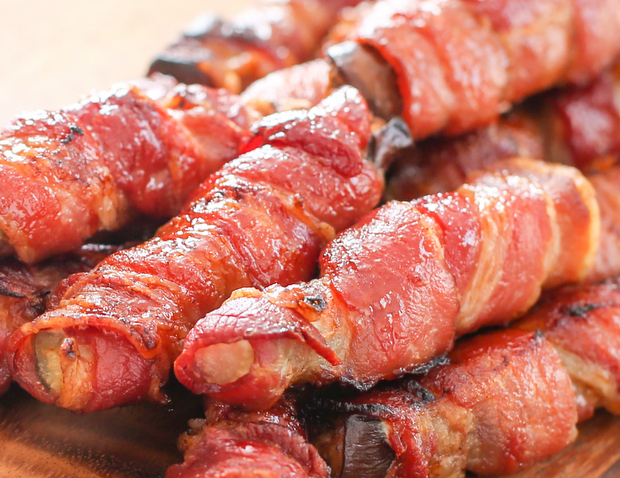 These bacon-wrapped eggplant fries are easy to make and are a great appetizer or game-day snack. Preheat oven to 425°F. 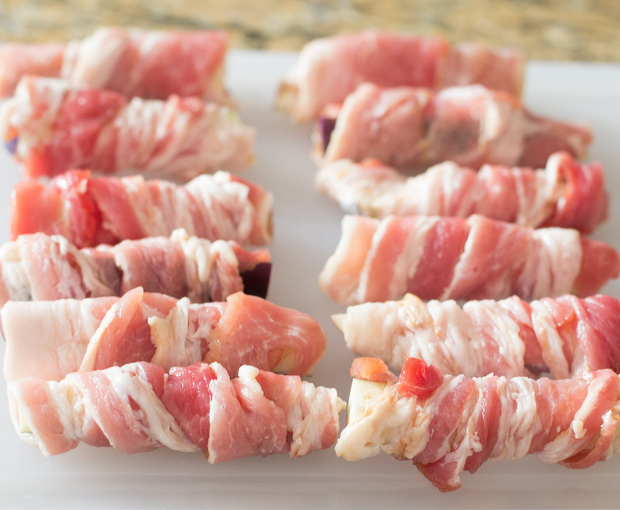 Take one slice of bacon and wrap around eggplant fry, starting at one end and working to other end, allowing the bacon to overlap halfway with each new layer, and securely tuck in the end piece. Repeat with remaining fries and place onto baking sheet. Bake for about 15-25 minutes or until bacon reaches desired crispness. In a small bowl, mix the glaze ingredients. Remove fries from oven and quickly brush with glaze. Raise oven temperature to 450°F. Place fries back in oven and cook for about 5 minutes or until bacon starts to blister, but make sure to constantly check on the fries so that the bacon does not burn. You can serve with a dipping sauce of your choice. I prefer Ranch dressing. I recommend using regular bacon instead of thick-cut bacon because it's too hard to wrap around the eggplant slices. Eggplant and bacon fries? WOW what a delicious combination. These look incredible! thanks, i really loved this combination! I used Chinese eggplants. Definitely try working with eggplant. It isn’t intimidating at all!